Two forces pull at me: the desire to have few possessions and be able to travel flexibly, and the convenience of reading and referencing physical books. 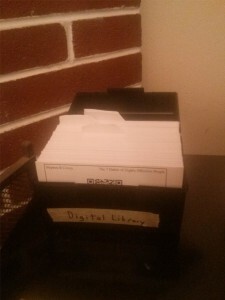 I discovered a third option: I have digital copies of all my books, so I can freely get rid of them at any time, or travel without inconvenience. So that’s where we start. Here’s where I went. That’s what a card looks like. 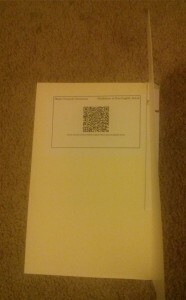 There’s information about the book up top, and a link in the form of a QR code in the middle. 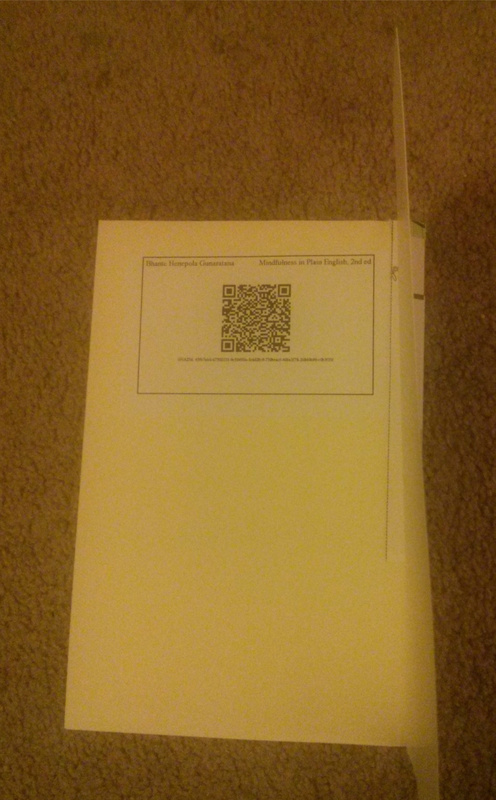 The link downloads a PDF version of that book. Obviously being a programmer, the cards all all automatically generated. And then, I have a box full of all the books I *don’t* have a physical copy of, so I can browse through them, and organize them into reading lists or recommendations. It’s not nearly as cool as the ones in books, but it’s sort of nice to keep around. And if I ever decide to get rid of a book, I can just check to make sure there’s a card inside, and move the card into the box, reassured nothing is lost, giving away a physical artifact I no longer have the ability to support. I sadly won’t provide a link to the library since that stuff is mostly pirated. Making sure each card gets printed exactly once, in the face of printer failures and updating digital collections. This was hard and took up most of my time, but it’s also insanely boring so I’ll say no more. 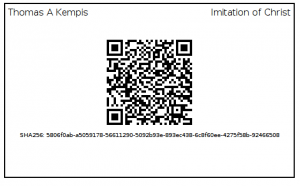 Command-line QR code generation, especially without generating intermediate files. I used rqrcode_png in ruby. 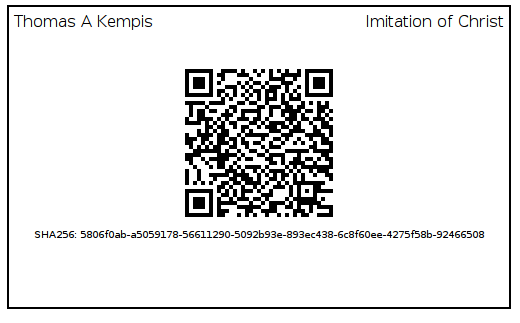 I can now hotlink link qr.png?text=Hello%20World and see any text I want, it’s great. The zbarcam software (for scanning QR codes among other digital codes) is just absolute quality work and I can’t say enough good things about it. Scanning cards back into the computer was one of the most pleasant parts of this whole project. It has an intuitive command UI using all the format options I want, and camera feedback to show it’s scanned QR codes (which it does very quickly). Future-proofed links to pirated books–the sort of link that usually goes down. I opted to use a SHA256 hash (the mysterious numbers at the bottom which form a unique signature generated from the content of the book) and provide a small page on my website which gives you a download based on that. This is what the QR code links to. I was hoping there was some way to provide that without involving me, but I’m unaware of any service available. Alice Monday suggested just typing the SHA hash into Google, which sounded like the sort of clever idea which might work. It doesn’t.